Galveston Child Custody Attorney | The Enos Law Firm, P.C. Divorce is often most painful for the children involved. Their lives are subject to drastic change that they may or may not understand. In these difficult times, it is extremely important to make the proper custodial decisions. Click here for a list of custody evaluators in the Houston, Texas area. The judge in a contested child custody case may order a custody evaluation. A custody evaluation is a process in which a mental health professional, usually a Ph.D. psychologist, evaluates the parents and children and then makes a custody and visitation recommendation to the court. Courts tend to give considerable weight to the recommendations of the custody evaluator. Usually, the court will not appoint a custody evaluator unless it is clear the parents have the means to pay the $5,000 – $10,000 fee most evaluators charge. The custody evaluator should be neutral and should not have a patient/therapist relationship with anyone in the family either before or after the evaluation. Treat the custody evaluator like the judge and try your best to make a good impression. Be on time, be polite and cooperative and dress appropriately. There are no secrets. Nothing a parent tells the custody evaluator is confidential or subject to doctor/patient privilege. Whatever you say to the evaluator could be repeated in court. Emphasize what is good about you and your home more than you trash the other parent. Be organized. Go to the custody evaluator with an outline of the information you want to provide. The rules of evidence do not apply in the evaluator’s office. This means you can bring the custody evaluator letters from neighbors, report cards, medical records, photographs or other items that help prove your point. Show how important the children are in your life and how you put them first. Show that you truly know your kids’ needs, problems and interests and always make good choices for them. Be honest. The custody evaluator will hold it against you if you are caught in a lie. Once the custody evaluation process is complete, the custody evaluator will prepare a detailed report summarizing what each parent said, the results of psychological testing and observations of the parents and children. This report will make recommendations regarding child custody and visitation. 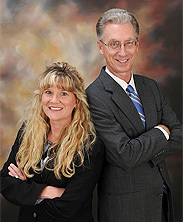 If you need a Galveston child custody attorney call The Enos Law Firm, PC today.